The award-winning attorneys with our law firm will thoroughly examine the DWI evidence for any flaws that may be beneficial to your case. Some law firms may want you to take a plea deal, but depending on the circumstances, our aggressive lawyers will fight for the best possible result: a complete dismissal. An honest attorney reviews every aspect of the case and can discuss your legal options with you. 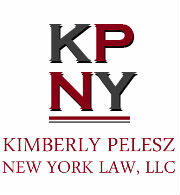 Kimberly Pelesz New York Law, LLC 4.8/5.0 stars – based on 23 reviews. In New York, if a police officer is persuaded that you are a threat to the public safety or your own well-being, you could be arrested, fined, lose your driver’s license, and even lose your job or face jail time. It doesn’t matter why you were stopped; if the police think you were driving while intoxicated, your life could be shattered. An experienced Westchester County DWI attorney can help. At Kimberly Pelesz New York Law, LLC, we can aggressively defend your rights. If there’s any flaw or inconsistency in the prosecution’s case against you, we’ll find it and use it to build the best possible defense, and we’ll bring the case against you to its best possible resolution. New York Vehicle and Traffic Law 1192.1: Driving While Ability Impaired or DWAI (if you are arrested while driving with a blood alcohol content level from 0.05 to 0.07 percent), an infraction. New York Vehicle and Traffic Law 1192.2 or 1192.3: Driving While Intoxicated or DWI (if you are arrested while driving with a blood alcohol content level at or above 0.08 percent), a misdemeanor. New York Vehicle and Traffic Law 1192.2-a: Aggravated Driving While Intoxicated (if you are arrested while driving with a blood alcohol content level at or above 0.18 percent), a misdemeanor. If the state can prove beyond a reasonable doubt that alcohol or drugs impaired your ability to drive, you may be convicted of DWI without regard to your precise blood alcohol content level. While DWAI is not a “crime” in New York – it’s an “infraction” – a violation that remains on your record and it’s punishable by 15 days in jail, a fine of up to $500, and a temporary license suspension. A DWI charge is much more serious, and if property damage or personal injuries are involved, the charges and penalties can be substantial, jail time becomes more likely, and a conviction could very negatively impact you for the rest of your life. If you face a DWI or DWAI charge now or in the future, contact an experienced Westchester County DWI defense lawyer as quickly as possible. Our elite team of New York criminal defense attorneys can help you fight allegations of drunk driving, driving under the influence of drugs (illicit or prescription) or another charge. We will examine the evidence against you, including how any field sobriety tests were conducted and more. At the end of the day, we will fight for you. Even a first-time conviction for DWI can land you in jail for up to a year in the state of New York. Penalties for a first offense DWI can include fines from $500 to $1,000, up to a year in jail, up to three years of probation, and a “driver responsibility assessment” fee for three years. Stronger penalties apply in the case of a repeat DWI offense in New York. If you have been arrested a second time for DWI, speak with a Westchester County DWI lawyer immediately. If you have been arrested a second time for DWI in a period of 10 years, you could face felony charges. Penalties for a DWI could include fines of between $1000 and $4000, and a sentence of four years in jail. You could lose your license for one year. If however, you are convicted of a second DWI within five years of a previous DWI conviction, you could pay between $2000 and $10,000 in fine, and may be given a seven- year sentence. You could lose your license for more than a year. If you have been arrested a third time for DWI in the space of five years, get in touch with a DWI lawyer immediately. Even more stringent penalties will apply in this case, and you may be required to install an ignition interlock device in your vehicle. This is a device that you must install all of your vehicles. The device will measure the concentration of alcohol in your system. The device will shut the ignition down preventing you from driving if the alcohol in your system is above a pre-set limit. You will be responsible for purchasing the device, and maintaining the device in your car. You will also be sentenced to community service in the case of multiple offenses. Remember, there is much to lose when you are arrested a second time for DWI. If this is not your first DWI arrest, or if you already have a DWI conviction on your record, it is important for you to get skilled legal representation immediately. Speak to a Westchester County drunk driving lawyer immediately, and discuss your case. In the state of New York, riding a bicycle while intoxicated – although it’s a very dangerous idea – is not explicitly forbidden by the law. New York’s DWI laws apply only to motor vehicles, not to skates, skateboards, bicycles, or other non-motorized vehicles or devices. You should understand that simply because there’s no specific law against riding a bicycle when you’re drunk, if the police stop you, you are still likely to be arrested for public intoxication, disorderly conduct, or reckless endangerment, particularly in the case of an accident. However, there is a law against operating a boat while intoxicated. Law enforcement officials watch for intoxicated boaters just like they do for drivers on the roads. They are allowed to stop any boat if they believe the driver of the boat is intoxicated. The legal consequences for boating under the influence are just like the legal consequences for those who drive under the influence on roads. Penalties can include monetary fines, higher boater and auto insurance rates, seizure of your watercraft, and jail time, plus it will stay on your record. Call the law offices of Kimberly A. Pelesz right away. Allow Kimberly Pelesz to evaluate the evidence to make sure your rights are protected. For a free consultation on your case, call (914) 214-9335. Any lawyer can craft a defense, but when your future is genuinely at stake, you need a Westchester County DWI attorney with considerable experience and skill in DWI cases. With offices in Peekskill and Poughkeepsie, Kimberly Pelesz New York Law, LLC serves DWI clients in Beacon, Fishkill, Wappingers Falls, Newburgh, Tarrytown, Greenburgh, Westchester County, Dutchess County, Putnam County, Orange County, and Rockland County. To learn more about how a Westchester County DWI attorney can help you, email us or call us promptly at (914) 402-4541.